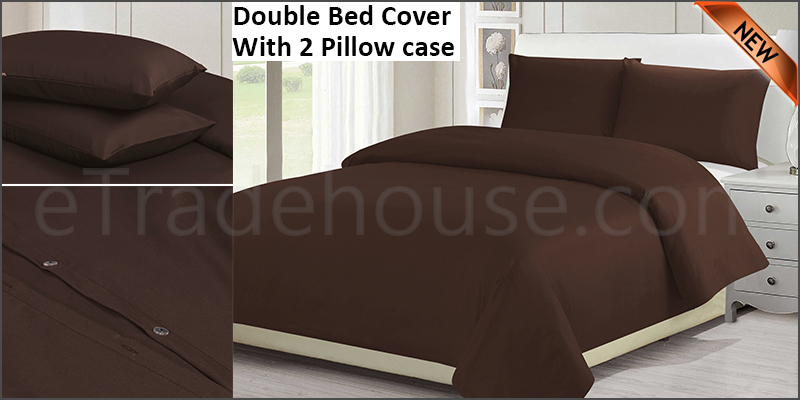 3 Pcs Single Bed Sheets Set includes 1 x (200 x 200) cm duvet cover and 2 x (50 x 75) cm pillowcases. Reversible Brushed 100% Polyester Microfiber Quilt Cover is extremely soft and durable for exceptional longevity, you can be sure to get a cozy night sleep. Non- Iron, Wrinkle-free and Fade Resistance. Button closure on the cover so you can easily get your quilt in and out of the cover. Machine wash under 30 degrees, no bleach, tumble dry low.